We have always welcomed the opportunity to demonstrate that we have conducted our research, educational and clinical activities ethically, lawfully and transparently. Fetal tissue research conducted at the University of New Mexico Health Sciences Center has always been closely regulated. Similar research is conducted at many U.S. academic health centers following stringent protocols. This work has transformed the lives of extremely premature babies, who are at risk for a host of lifelong deficits. 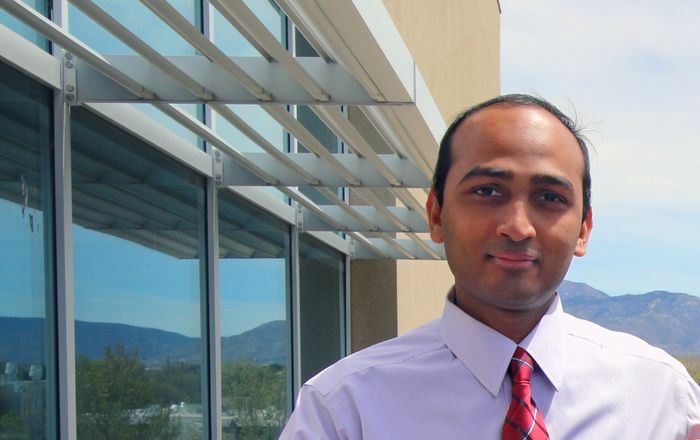 The therapy developed by a UNM HSC pediatrician who is dedicated to saving these babies’ lives has dramatically improved their health outcomes. Children who otherwise would have endured blindness or mental incapacity are thriving. 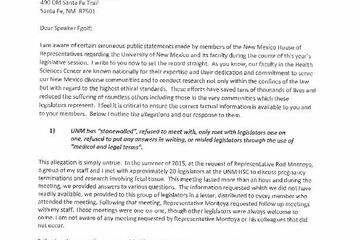 UNM HSC categorically denies ever having bought or sold fetal tissue. Nor has it made any reimbursement for the tissue it has received from women who consented to donate it for research purposes. UNM HSC has worked diligently to cooperate with the House Select Investigative Panel on Infant Lives throughout its inquiry and continues to do so. We have also fully cooperated with the New Mexico Attorney General’s office in its inquiry.